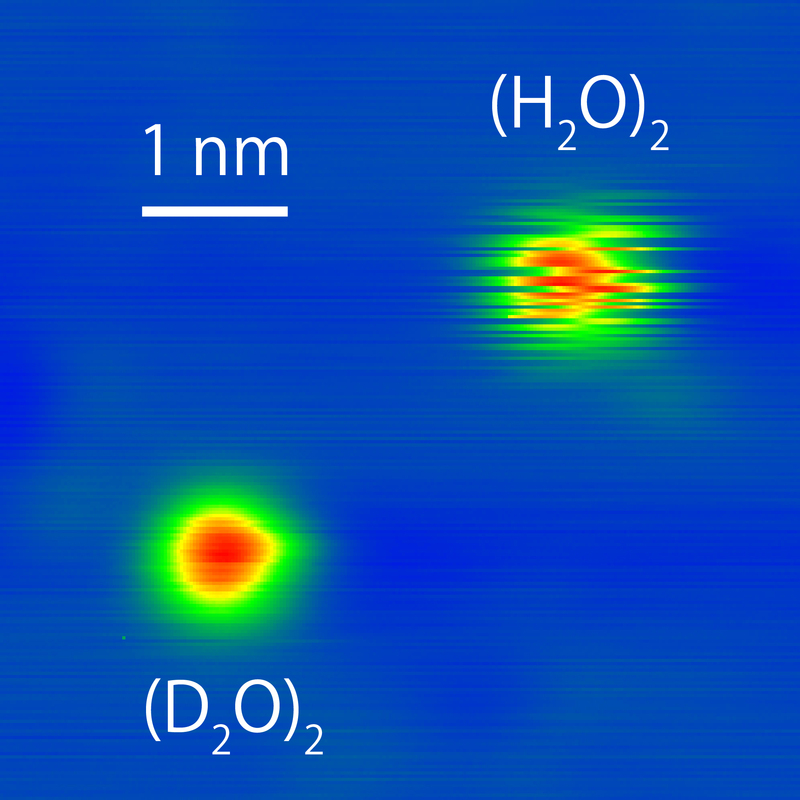 The image taken by scanning tunneling microscope shows single water dimers consisting of normal water (H2O) and deuterated “heavy” water (D2O) on a copper surface. Because of the heavy mass the motion of (D2O)2 is much slower than that of (H2O)2 and observed at rest. This phenomenon results from quantum mechanics. Hence, the image corresponds to observation of quantum mechanics in “real space”, thus its fascination, which drove me to the research field of Nanoscience.